A hidden gem on the peaceful Lake Blalock. 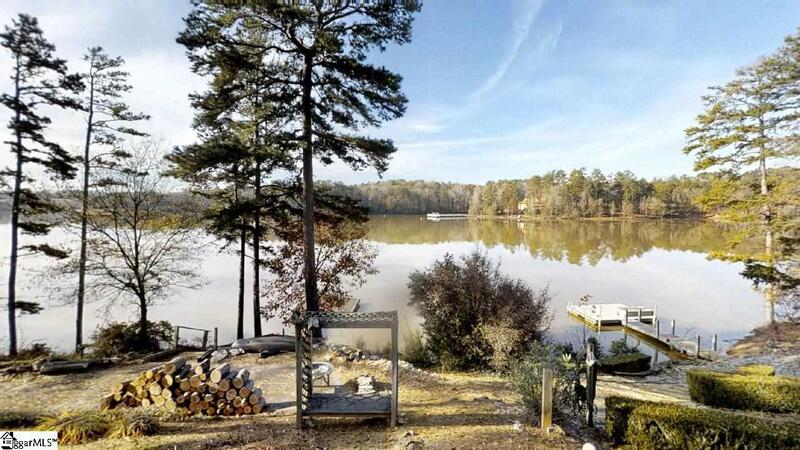 This stunning 3 Bdrm./2.5 Bath with 82 Ft of water frontage, sits on the Cul-d-Sac of a prominent private neighborhood with breathtaking views of the lake and its surroundings. 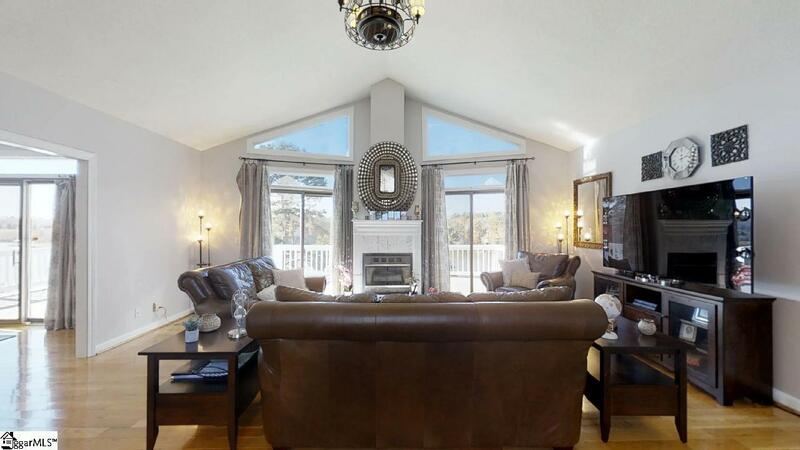 This fabulous two story home w/3286 Sq.Ft. - is minutes away from the riveting and upcoming Downtown Spartanburg, elegant Hillcrest area and ever so close to all Spartanburg Regional Medical Centers. 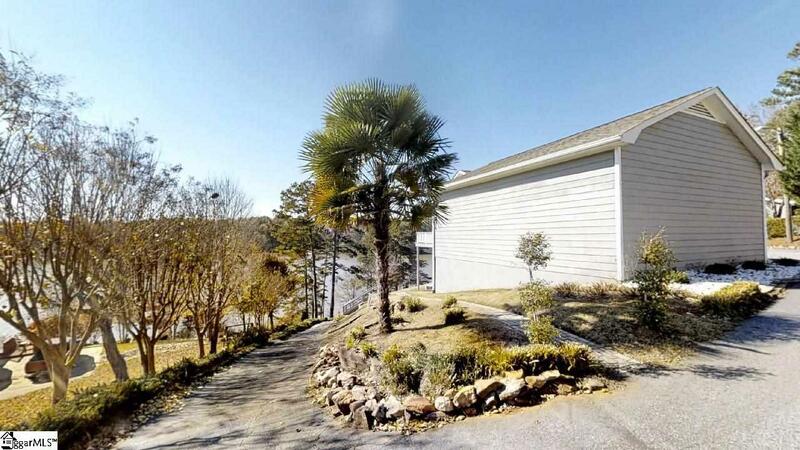 Magnificent views of the entire Lake Blalock and beyond can be captured from the solidly renovated extra large balcony; where entertaining a large crowd can be uplifting after hearing compliments for the location, you have chosen to live. I-85 is only five minutes away making the SC - GSP Intl airport or NC - CLT airport easily accessible. For horse lovers, Tryon Equestrian Center is 20 minutes away. This home features a circular driveway with a 24x20 side 2 car garage. 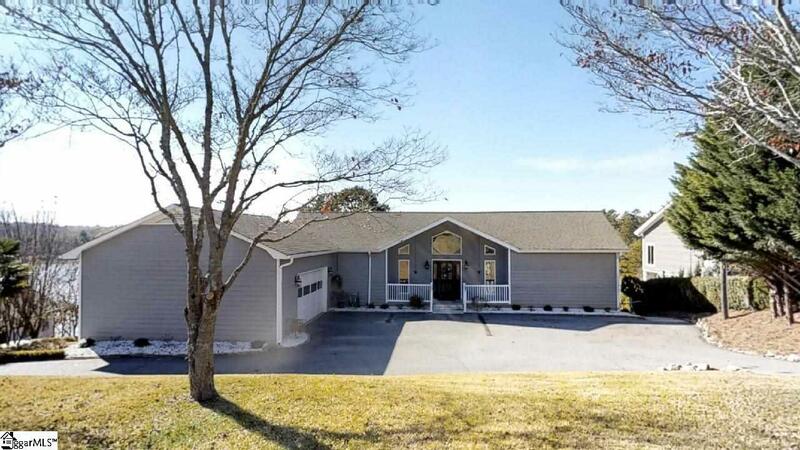 A welcoming tiled front porch adds character to the front door and as you enter the home the captivating Lake Blalock views from all areas on the main floor can take away any stress accumulated throughout the day. The open floor plan concept connects the well accessorized kitchen area, dining area and living room. Stainless Steel appliances, contemporary LED Lighting fixtures, modern r/c fans are some of the many upgrades and features this well maintained home has to offer. The spacious master bedroom on the main floor offers a well designed walk-in closet, en suite full bathroom with a garden tub. Plenty of storage throughout the entire house. Your pontoon can be parked on the recently renovated 12x10 dock. Have you ever thought Air-B&B possibility..? This can certainly be a good option. View 3D-Virtual tour to get broader detail about this unique home. Listing provided courtesy of Robert Ortega of Keller Williams Realty.